Tom took this picture at the grave site and I thought it was really cool. His pictures can be found on his Flickr page. 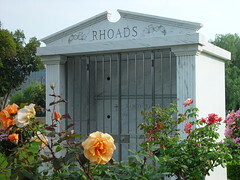 This entry was posted in Flickr Picks and tagged graves, gravesite, Photos, rhoads, roses by Ron Bieber. Bookmark the permalink.